1. A farm implement consisting of a strong blade at the end of a beam, usually hitched to a draft team or motor vehicle and used for breaking up soil and cutting furrows in preparation for sowing. 2. An implement or machine designed to move earth, snow, or other material by means of a strong blade. 3. Plow See Big Dipper. 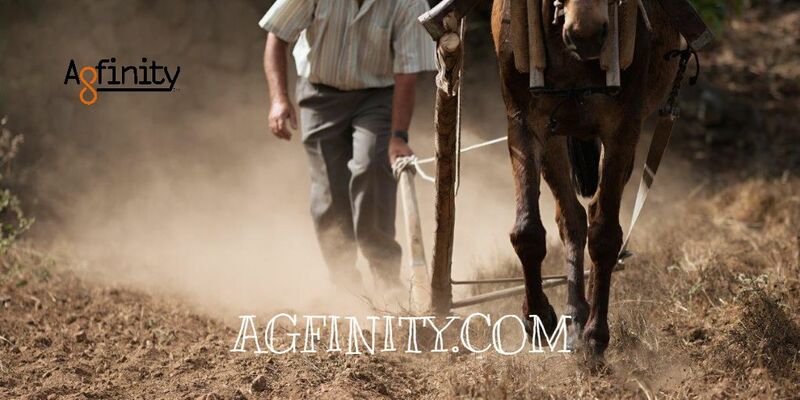 “(When Agfinity was in its infancy) … We would call farmers in the area, looking to do trades…. We had enough capability to make calls, but not necessarily to make trades.” This created a situation in the shop where we needed a hierarchy of experience, to make the business profitable. A plower on a farm, is the person that prepares the soil for the machinery. “Because of the agro nature of the business, contacting farmers—we related everything to the farming process.” Showing initiative and hardwork- while learning everything from the ground level, these individuals, with a can-do work ethic became “plowers”. They had to demonstrate capability to make trades, by learning from those with more experience. Yet they were tasked with picking up the phone to make the calls, to reach out to potential buyers and sellers. Business waits for no man. You need to learn to adapt and to learn and grow to keep up with the demand. Here at Agfinity, the “plowers” have been instrumental in making us what we are today.